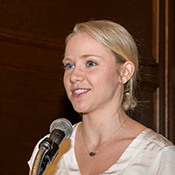 Emily Rankin graduated from Temple University with her Bachelors of Liberal Arts in Psychology in 2017. She currently serves as a Research Project Assistant in the FAMCO project funded by the Pascale Sykes Foundation. Throughout her undergraduate, Emily worked as a Program Specialist at Girls Inc. of Greater Philadelphia and Southern New Jersey, providing equitable educational opportunities to girls ages 6-18 in the Philadelphia and Southern New Jersey regions. She plans on continuing her education to pursue a Master’s in Elementary Education and Special Education. Page last updated by Senator Walter Rand Institute for Public Affairs at 3:12 pm October 5, 2018 . This page was printed from http://rand.camden.rutgers.edu/emily-rankin/ at 8:18 PM Saturday, April 20, 2019.